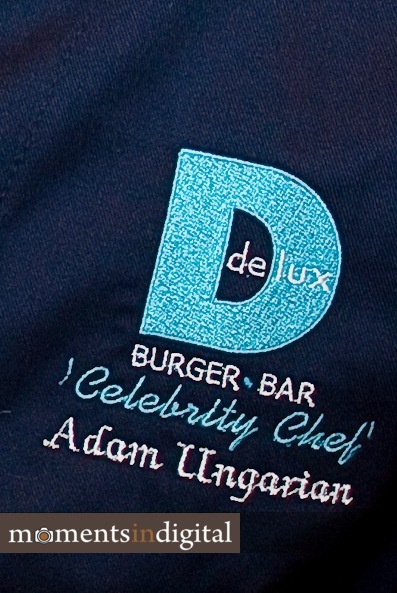 Itâ€™s hard to believe that another month has almost come and gone and itâ€™s time to reveal the next chef in Delux Burgerâ€™s Celebrity Chef promotion. 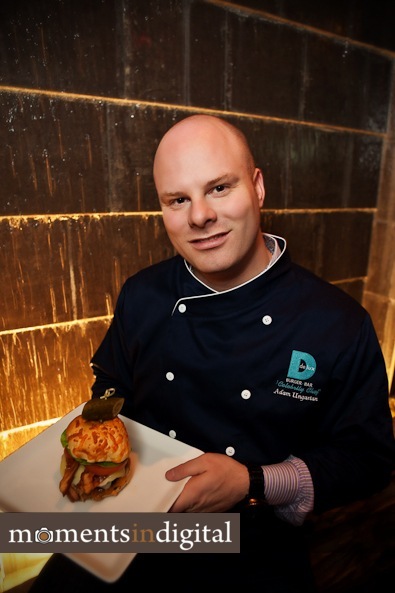 The celebrity chef for the month of March April is Adam Ungarian from HESCO Hotel & Equipment Supply Co. HESCO supplies commercial grade equipment for many clients in Edmonton including the Century Hospitality Group. I stopped by Lux on Friday to photograph Adam with his creation â€“ the Hesco Heart Attack â€“ his take on the classic cheeseburger. Adamâ€™s burger features two 5oz burgers on a cheddar Kaiser roll topped with three kinds of cheese, 4 slices of bacon, caramelized onions, and life saving lettuce and tomato (just to keep it nice and healthy). Watch for this bad boy on Deluxâ€™s menu during the month of March April. As a reminder. 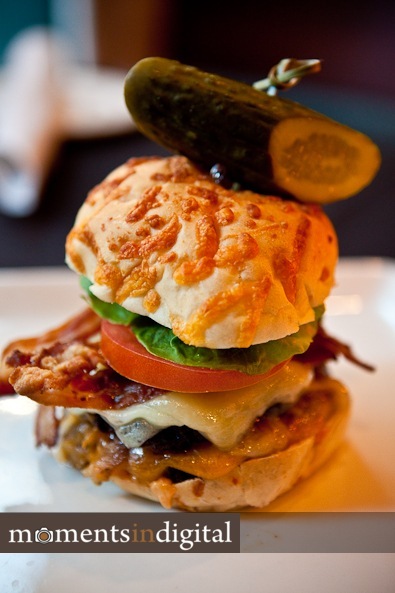 you also still have one week left to try Warren Smithâ€™s Redneck burger featuring bison, smoked pork shoulder, and ham. If you are looking for commercial photography in Edmonton for your next big project, promotion, or event, please contact me and Iâ€™d be happy to provide you with a quote for my services. I offer quality work and quick turnaround times for rush projects. UPDATE – Ooops. I photographed two chefs in the same session and I got them backwards. Adam is actually going to be the Celebrity Chef for the month of April. Chris Kourouniotis from CK Design Associates is going to be the chef for March. Watch for an updated post on Monday featuring his tasty burger with a Greek influence. Adams super nice. I love shopping at HESCO. great staff and awesome products. You don’t need to own a restaurant to shop there, either. Nice work as always Bruce! Just a heads up though, Adam is April and Chris K is March. Both fantastic burgers though! Looks like a delicious burger! Great photos!